Cloud computing has changed IT like few other things, and has been one of the defining technologies of the last decade. Even so, cloud computing can be somewhat ambiguous. Terms such as IaaS, PaaS, SaaS, DRaaS, and others make for an alphabet soup of over-hyped buzz words. So where do those who want to leverage the cloud even begin? This book is a great start! 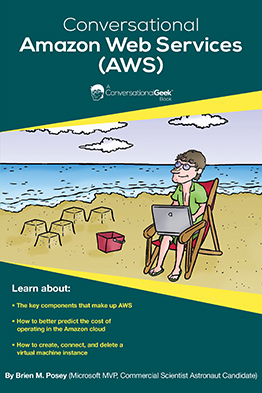 Here you will learn about some of the more important AWS components. You will also learn about important concepts such as licensing, cost control, and virtualization.